A 58-year-old poorly controlled diabetic and hypertensive male patient with ketoasidosis was admitted to the ENT clinic due to ptosis and edema of left eyelid and facial pain of nine days. Paranasal sinus CT revealed destruction of the left maxillary, ethmoid and sphenoid sinuses. MRI also showed erosion of the lateral, medial and inferior orbital walls. Surgical debridement of the sinuses and left nasal cavity were performed following a rapid endoscopic diagnostic biopsy from the necrotic tissues (frozen section) of the left nasal cavity. The patient was taken to the ICU and strict control of diabetes was assigned with additional appropriate chemotherapy for the causative agent. Permanent sections of paraffin embedded tissues confirmed the diagnosis also by positive histochemical reaction of the specific agent. Besides, culture results obtained nine days after the operation also supported the pathologic diagnosis. It has become increasingly apparent that patients who suffer from poorly controlled diabetes, or are immunocompromised, are at risk from infection by Rhizopus, Absidia and Mucor sp. [1,2]. Previously the disease was well recognised as a disorder of undernourished children. In the early stages of infection signs include sinusitis, pharyngitis, nasal discharge, and orbital pain. As the disease evolves, a characteristic necrotic tissue may be seen in the nose or mouth. 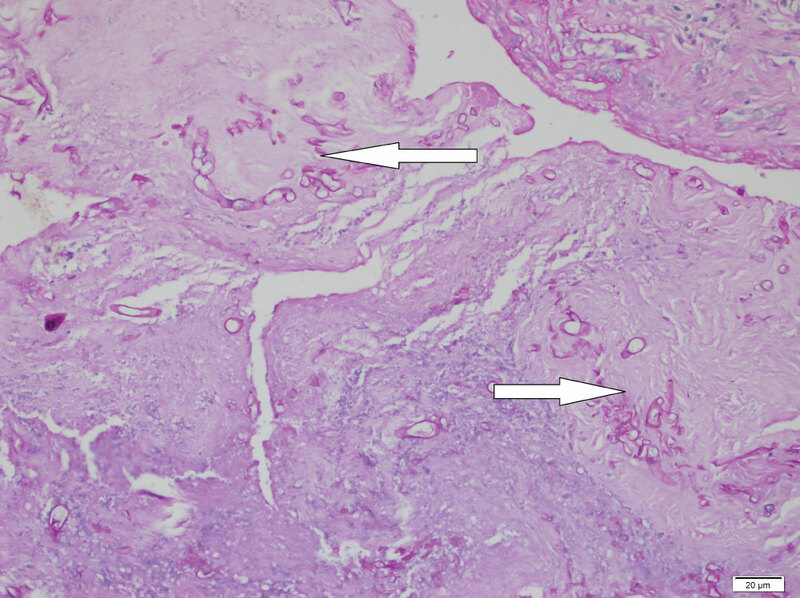 If debridement is undertaken then histological examination of the tissues shows extensive infarction with large, non-septae, branching hyphae (Figure 1 and Figure 2). The fungal hyphae are readily visible on haematoxylin and eosin (H&E), but periodic acid- Schiff (PAS) and methenamine silver stains may assist in their identification [3,4]. Early antifungal therapy and stabilizing diabetic control may avoid the need for surgical debridement or exenteration. However, despite treatment the disease is still fatal in over 50% of cases especially due to cerebral involvement via vascular thrombi, i.e. cerbro-rhino ordital mucormycosis [1,2]. 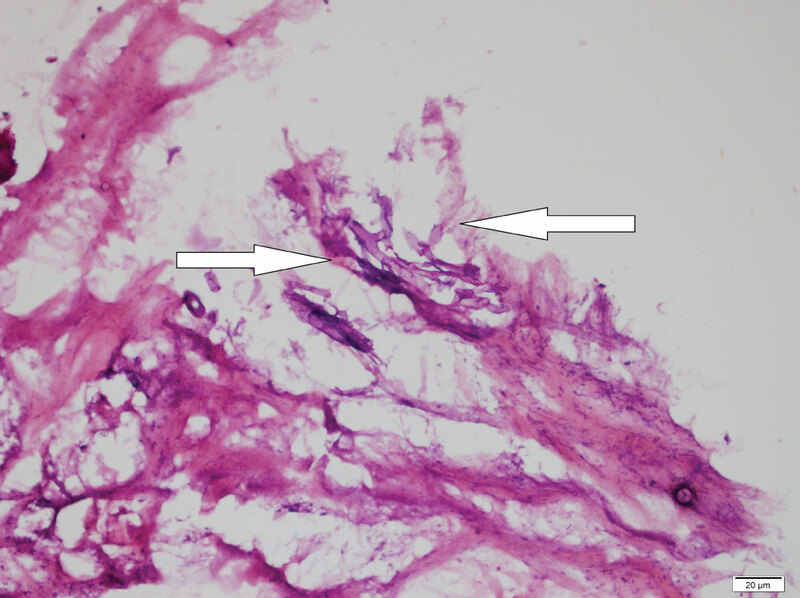 Figure 1: Frozen tissue section for rapid diagnosis showing haematoxyphylic non-septate, wide angle branching large fungal hyphae (arrows), (Haematoxylin eosine, X200). Figure 2: Positive periodic acid Schiff (PAS) reaction highlighting the magenta coloured fungal hyphae amongst necrotic tissue components of the nasal mucosa (arrows), (PASX200). Wali U, Balkhair A, Al-Mujaini A (2012) Cerebro-rhino orbital mucormycosis: An update. J Infect Public Health 5: 116-126. Shinde RV, Karande GS, Mohite ST, Patil SR (2013) Rhino-Orbital mucormycosis in diabetes mellitus. J Clin Diagn Res 7: 1145-1147. Perry A, Rosenblum MK (2018) Central nervous system. 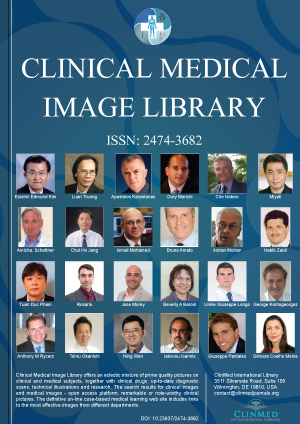 In: JR Goldblum, LW Lamps, LW Lamps, JL Myers, Rosai and Ackerman's surgical pathology. (11th edn), 1970. Gupta RK, Gupta P (2017) Pathology of Opportunistic Infections, an illustrative atlas. Springer, 100-109. Nasuhi Engin Aydin, MD, Professor of Pathology, Izmir Katip Celebi University Faculty of Medicine, Ataturk Hastanesi, Patoloji Klinigi, Basin Sitesi, Yesilyurt, Izmir 35270, Turkey, Tel: +905466157058. © 2019 Aydin NE, et al. This is an open-access content distributed under the terms of the Creative Commons Attribution License, which permits unrestricted use, distribution, and reproduction in any medium, provided the original author and source are credited.